Many scholars claimed the integration of science, technology, engineering and mathematics (STEM) education is beneficial to the national economy and teachers and institutes have been working to develop integrated education programs. 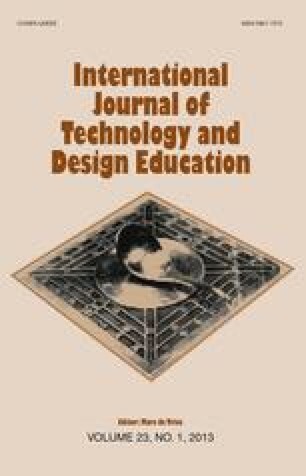 This study examined a project-based learning (PjBL) activity that integrated STEM using survey and interview methods. The participants were 30 freshmen with engineering related backgrounds from five institutes of technology in Taiwan. Questionnaires and semi-structured interviews were used to examine student attitudes towards STEM before and after the PjBL activity. The results of the survey showed that students’ attitudes to the subject of engineering changed significantly. Most of the students recognized the importance of STEM in the science and engineering disciplines; they mentioned in interview that the possession of professional science knowledge is useful to their future career and that technology may improve our lives and society, making the world a more convenient and efficient place. In conclusion, combining PjBL with STEM can increase effectiveness, generate meaningful learning and influence student attitudes in future career pursuit. Students are positive towards combining PjBL with STEM. The authors greatly appreciate the financial support provided by Taiwan’s National Science Council, the Republic of China, and also the kind assistance of Miss Chao-I Chu and Miss Hui-Chuan Sun who made this paper possible. David, G. H., & Sharon, K. S. (2006). Proceedings of the conference on K-12 outreach from university science departments. Retrieved August 10, 2010, from http://www.science-house.org/conf/conf02/proceedings.pdf.